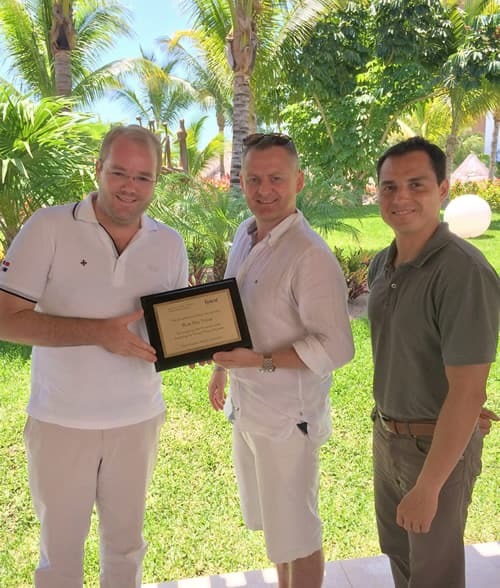 We are unbelievably proud to have been recognised by Excellence Resorts as the first agent worldwide to make a booking to the Finest Playa Mujeres Resort. "Excellence Group, representing its complete portfolio of existing properties under Excellence Resorts and Beloved Hotels brands, has the pleasure to acknowledge and congratulate Blue Bay Travel and its superb team of professionals for such a long-standing and successful partnership throughout several years since the birth of our company. The Excellence philosophy, aiming to provide the ultimate All-Inclusive Luxury experience to all guests, can only be possible by partnering with the very best travel companies in each market. 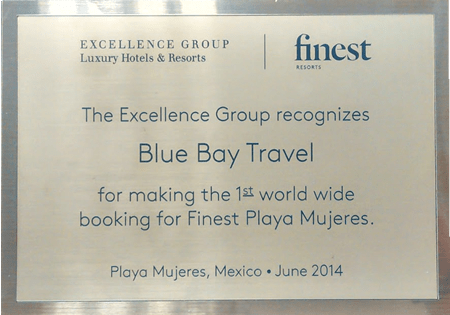 Therefore, Excellence is proud to recommend Blue Bay Travel as an ideal choice to promote and distribute the newest addition under the Group´s portfolio: Finest Resorts, and its very first property Finest Playa Mujeres by Excellence Group. Blue Bay Travel has demonstrated unconditional commitment to delivering the highest customer satisfaction within the UK and recommending only the best destinations and resorts throughout the world, representing the perfect match for Excellence to fulfil the needs of the most demanding travellers." – David Torres, Director of Sales, Excellence Group Luxury Hotels & Resorts. Our team have had their hard work and expertise duly rewarded by being named Travel Team of the Year at the prestigious TTG Travel Awards. The best of the best from across the travel industry converged on London to celebrate outstanding achievement, and despite strong competition the Blue Bay team triumphed to win this coveted accolade.